The restaurant Köz Urfa was established at the 18.09.2003. 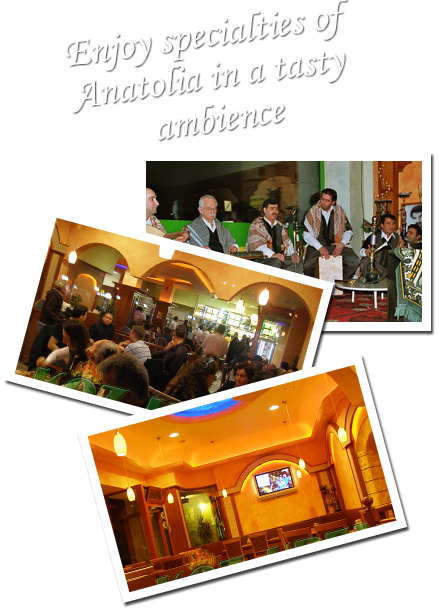 Our restaurant committed itself the Anatolish tradition felt, became known through it and is estimated by its regulars guests. The quality and freshness of the ingredients,as well as not least the friendly and speedy services, fill our guests with enthusiasm every day. The legendary Döner, Kebab, Lahmacun(Turkish pizza) and Künefe made us famous. But you can enjoy also traditional kitchen of Urfa or delicious baked courts and salads in our restaurant. There, something is included for everyone. Taste our love of the detail. Our service team, with professional co-workers, is professionally and kindly available to you. It always is careful about it, our guests, to shape the stay pleasantly and unforgettably.